Nowhere have I been able to find a parallel to the “John Canoeing” or “John Kunering” of several Carolina settlements. For days before Christmas in such towns as Wilmington, major port of the area, Negroes whispered their plans for “John Kuner,” a ceremony whose followers were supposed to keep their identities well-hidden. White children, remembering the event from previous years, talked of it no less. 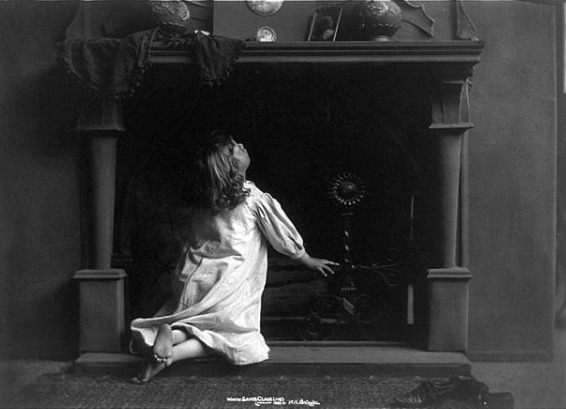 On Christmas morning there arose a distant sound of rhythmic chanting, accompanied by instrumental music. A procession appeared down the street, its members crying out as they went, and the children of the town ran to their porches or to the street, to view the line of blacks with strips of bright-colored cloth attached to their clothes, or any one of a dozen kinds of grotesque garb. Each had a “Kuner face,” a mask with a great nose and beard. Many wore horns, and all moved in a wild, fantastic style. “Hah, lo, here we go! Hah, lo, here we go! On and on the singers went, the rhythmic instruments pounding, the voices rising and falling. Now and then the songs varied, with a soloist followed by a chorus. (Soloist): “Young gal go round the corner! (Chorus): My true love down the lane! (Soloist): We on the grass where the dew been poured! 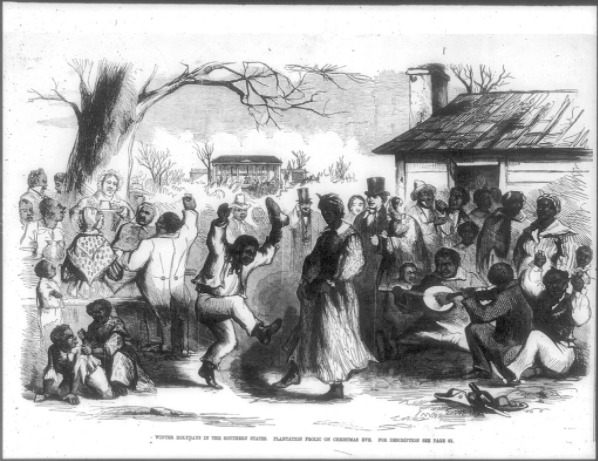 With their streamers and tatters whirling around them, the Kuners stopped at the houses of the white people, or before groups they met on the street, and sang and danced for them. One of the party held out a hat to collect money, and then the band strolled on its way. Traced back to a “zesty” character named John Connu, who lived on the coast in Guinea in the 1700s, this ritual has the same roots as New Orleans “second line” parades and is a precursor to the modern-day performances of black marching bands and the step routines of black fraternities and sororities. 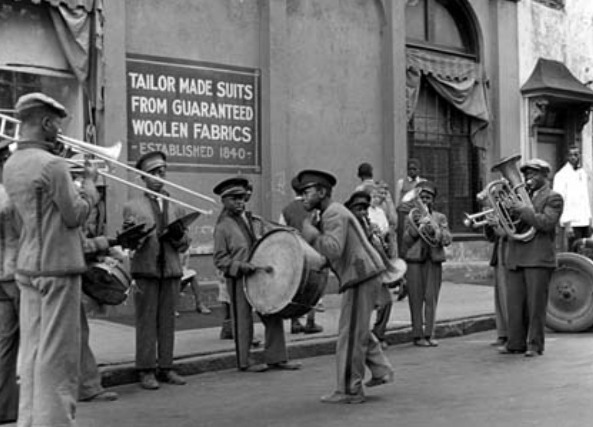 Notably, the Jenkins Orphanage Orchestra was an early example of this type of jazz band, from downtown Charleston’s Harleston Village at the turn of the last century. Even today, we primarily see slaves depicted in their conflicts with their owners and rarely do we see the culture and lives they made for themselves despite oppression. Reflecting on slaves’ traditions at this time of year is a way for us to honor their strength and ingenuity, despite their circumstances. From their example, we see the truest illustration of the Christmas spirit. May it be alive and well with you as you gather, make merry, and revivify your familial and social bonds this holiday season.